Sunday night’s broadcast of the Golden Globe Awards produced one of the most stirring speeches ever delivered at such an affair. As the Cecil B. DeMille Award winner for lifetime achievement, Meryl Streep was clearly disturbed by the crudeness and vulgarity of President-Elect Donald Trump. She devoted most of her acceptance speech to chastising The Donald for mocking a disabled reporter. And she defended American citizens in the arts who speak out on important issues. The truth of that cannot be denied by anyone with an honest perspective. Conservatives have had an insatiable Hollywood bashing obsession for decades. Likewise, foreigners have been a convenient target to blame for every social problem for which conservatives have no solution. Trump has elevated xenophobia to new heights of hatefulness. And the press, never particularly well-liked, has taken more heat in the past eighteen months than ever. First of all, Streep never cast herself as an outcast. That was Carlson’s way of preemptively dismissing everything she had to say. But more troubling is his criticism of Streep for allegedly pandering to her Hollywood audience. He was “annoyed” at her lack of courage for saying exactly what her audience wanted to hear. Really? That is what Fox News does all day, every day. It is a 24/7 pandering operation for right-wing propaganda. Where is the courage in that? And Carlson himself is the perfect symbol for Fox’s partisan fawning. He just replaced Megyn Kelly, who while affirmatively conservative, has had differences with Trump. Now the entire Fox News primetime lineup is composed of Trump fluffers and friends. 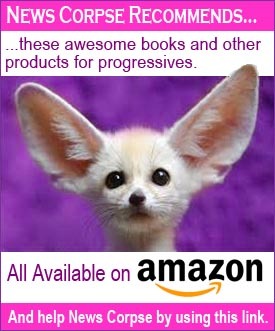 As for the “rich and entitled,” Carlson could be their mascot. Tucker Swanson McNear Carlson was born into wealth in the heartland city of San Francisco, California. He is the son of a television executive who later became ambassador to the Seychelles. Now he splits his time as a TV pundit between New York City and Washington, D.C. When you drain the swamp, what you’ll find is scads of slimy Tucker Carlsons flopping around in the muck. 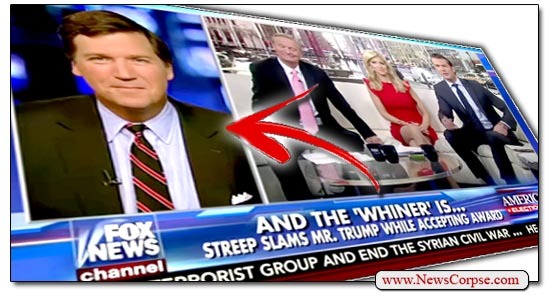 Carlson is so in touch with mainstream America that he recently confessed that he doesn’t even watch movies. In an interview with TheWrap he said “Who watches movies? Who would? Not me. I wouldn’t cross the street to watch a movie for free.” That comment came following his rebuke of the industry that he thinks is “crumbling.” In fact, the film business is enjoying record profits. Last year box office earnings exceeded 11.3 billion dollars. That’s the statement of a statesman. It’s also precisely the opposite of the attitude that Carlson projects. To him the only people who are permitted to hold and share opinions are those with whom he agrees. Ill-informed Tea Party crackpots can say whatever they want about President Obama. And celebrities like Clint Eastwood and Ted Nugent are considered virtual Rhodes Scholars. But artists who speak their minds outside of the right-wing echo chamber are condemned for their impudence. Worst of all, wealthy, trust-fund babies like Carlson get primetime shows on Fox News where they lambaste the rich and entitled. Faux News Drumpf advocates are called “fluffers!” Best description yet! 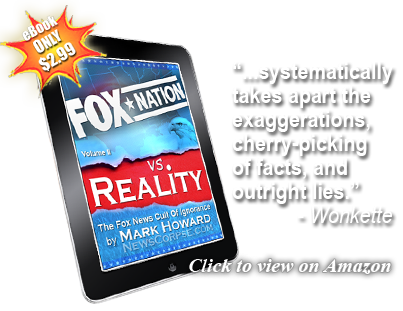 I choose to no longer listen nor watch any FOX personalities–they are NOT jounalists–as their agenda is not America’s agenda. Meryl Streep is a zillion times brighter than Carlson ever thought about being. And he needed to make a big splash replacing Megyn. He may survive with Ailes gone as he is not blonde and voluptuous. Fake fox hasn’t been a new orginazation in many years. Their slavish devotion to right wing lies is truly disturbing. Besides outright lying to their audience, fake fox gives small space for retractions even when confronted with the facts. Fake fox has no regard for the business of real news reporting. Perhaps they should look at a real news orginazation like the BBC. But I doubt they could comprehend real news reporting. Tucker Carlson, the Voice of Conservative Hollywood. Population: 12. I do not know when the fact that you are lucky enough to have been born into a wealthy family ( John Kennedy, Bobby Kennedy, Ted Kennedy) made you ineligible to comment on whiners that have money ( Meryl Streep). According to this article only person’s of modest means have the right to comment on Ms. Streep’s ridiculous tirade. Then again, if Mr. Carlson was part of the main stream media (or the left wing media) anything he said would be golden. Why do actors think what they say matters? it obviously does not! Mrs Clinton had all these liberal elite morons stomping for her and the country said, loudly and clearly, NO! We do not want to listen to your garbage and we do not want a liar and a crook leading the country. This most likely will not be posted because it does not comport with your talking points. Keep on deluding yourselves, it is quite hilarious. Great insight Linda. Thank you.